What if this doesn’t go down like I planned? What if I’m not making the right decision? Our ‘what if’s’ stop us. They confuse us. I have learned to look at the facts, not my fears. In my decision-making, the facts weigh in at 100% and my fears at 0%. Because my fears are just emotions. And emotions are circumstantial. They feel real but they are often very fleeting and not supported by reality. His fears got in the way of seeing what was actually happening. The Great I Am had heard the cries of his people and he was responding by asking Moses to lead his people out of slavery. It makes me smile as God outlines his plan in Exodus 3 because that’s just how it all happened. I really love the very last part where the Egyptians gave their silver and gold to the Israelites to encourage them to leave. How awesome! Only God could have made that happen. You aren’t listening, Moses. Those are your fears talking. The fact is that the One True God just said they would listen. It’s done. Don’t waste time and effort on your fears, Moses. That’s much easier to say than to do, right? I know I waste time and energy on my fears – my ‘what if’s’. My son, David Glasser, was a Phoenix Police Officer and he was killed in the line of duty in 2016. My fears and ‘what if’s’ are a lot bigger and darker since then. The worst can happen – it does happen. Some of the worst times are in the middle of the night when it’s dark and thoughts swirl through my brain. On those nights, I watch the window closely and I’m always glad to see the sun start to bring light back into my world. Because in the light, my ‘what if’s’ lose power and the facts once again come into focus. My fears are literally over-shadowed by God’s love and his mercy and his faithfulness. Moses needed to trust God. 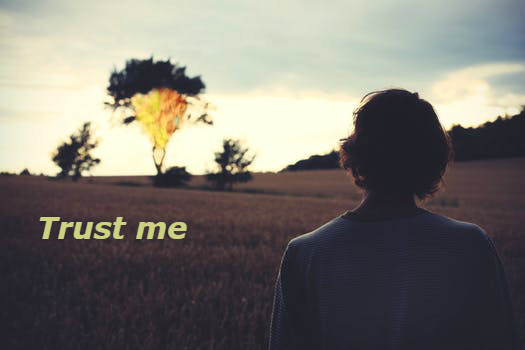 I need to trust God. Please help us trust you, Abba Father.